Many of us know owner and barber Aaron Williams from Esquire way over yonder in Andersonville. But now "our guy!" is up and running around the corner at Lawrence and Western Avenues. 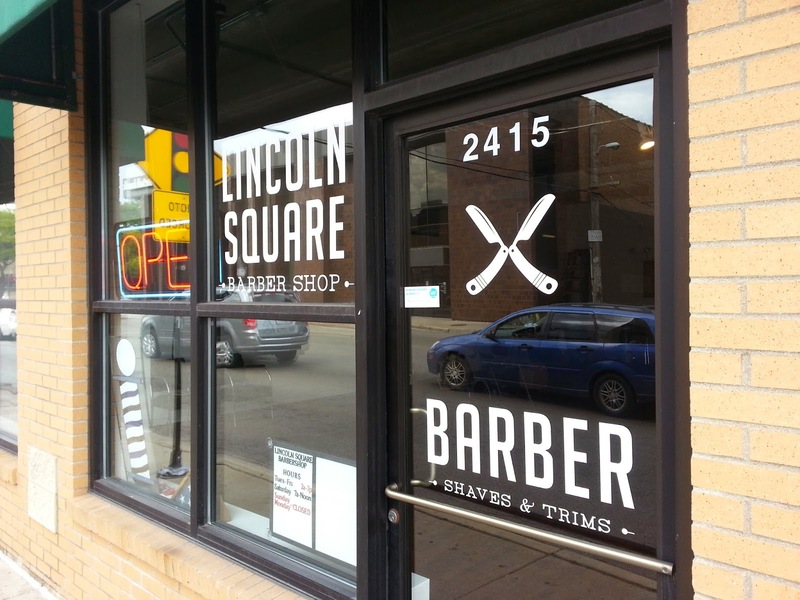 Lincoln Square Barber Shop has the expected great cuts and local Chicago feeling we love. You can make appointments online and the space has great potential to be that classic guy hang-out. Aaron is also a proud donor to the 15th Annual St Matthias Friend's of the Grape fest coming up this October 5th. Eat, drink and bid on many cool items including packages with Lincoln Square Barber shop signature haircuts. Thanks Lincoln Square Barber Shop! I'll see you at the shop!